Hilda Solis sends letter to Attorney General Harris expressing concern. 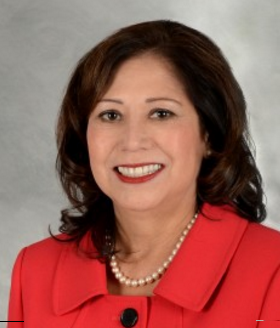 Los Angeles County Supervisor Hilda Solis recently wrote a letter to Attorney General Kamala Harris to express her concern about the pending sale of Keiro Senior HealthCare’s facilities to Pacifica Companies. Solis has been supervisor of the county’s 1st District, which includes Little Tokyo, since 2014. Prior to that, she served as U.S. secretary of labor. The supervisor decided to become involved in the Keiro debate after hearing concerns from local residents. In her letter, she asks Harris to postpone the sale and provide a formal public hearing. “The services that these facilities provide are invaluable to my constituents’ well-being and the health of the communities in which they are located,” she writes in her Jan. 29 letter to Harris. “Keiro residents deserve transparency, security, and dignity — not to have their fate left to real estate speculation,” she continues. “We can and should do more to protect these elderly residents who have contributed much to our state and asked for little in return. A court hearing concerning the Keiro sale was scheduled for the morning of Thursday, Feb. 4.